Soldiers attend chapel in Kyushu, Japan, 1947. 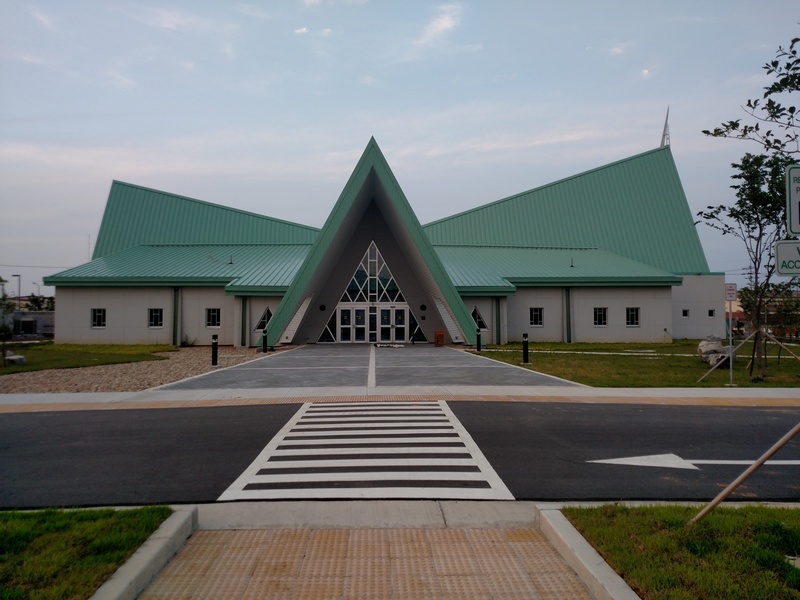 Memorial Chapel at Camp Casey, ROK (photo by Jamison Bowman). 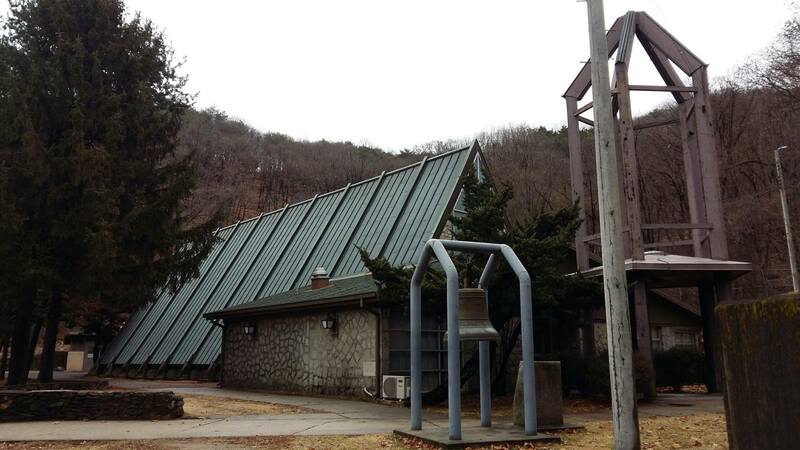 Exterior view of Chapel at Camp Hovey, Republic of Korea (photo: Chaplain Jamison Bowman). Freedom Chapel on Camp Humphreys. Demolished as part of the development in preparation for enlargement of the post. 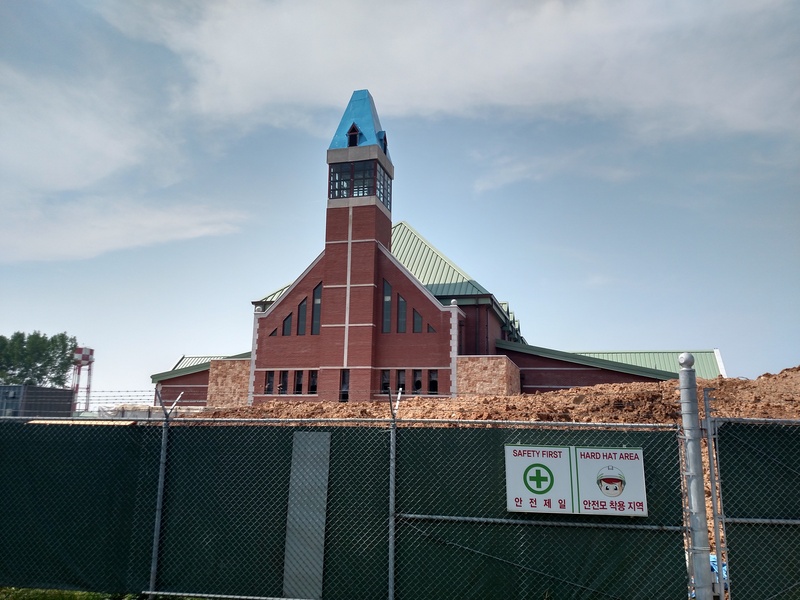 One of the new chapels being built at Camp Humphreys, currently called “Chapel #2 but is expected to be named “Indian Head Chapel” (photo by Daryl Densford, November 2015). 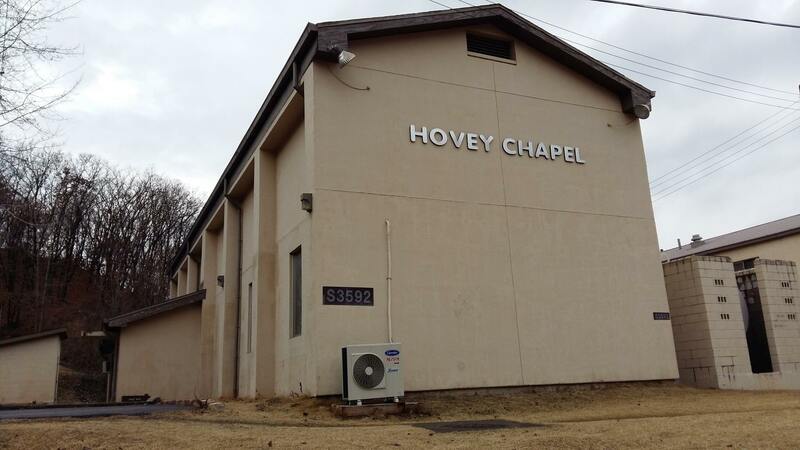 Another view of Chapel #2, being built at Camp Humphreys (photo by Daryl Densford November 2015). 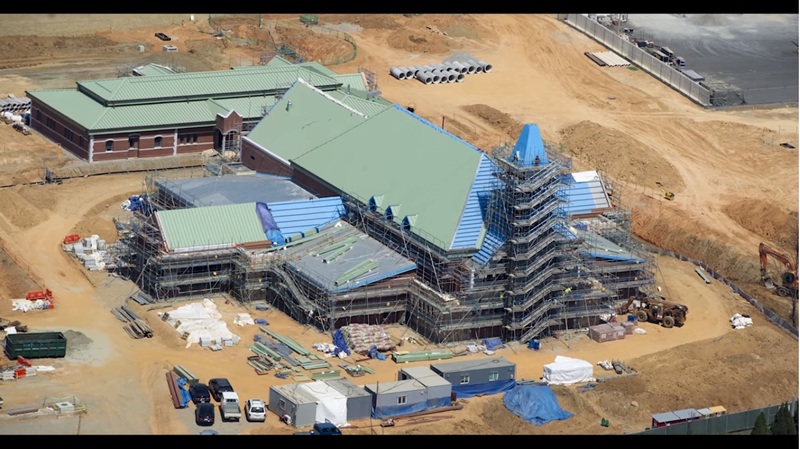 An aerial view of Chapel #2 on Camp Humphreys, ROK. Inside Chapel #2, being built on Camp Humphreys (photo by Daryl Densford, November 2015). Another view of the inside of Chapel #2, being built at Camp Humphreys (photo by Daryl Densford, November 2015). 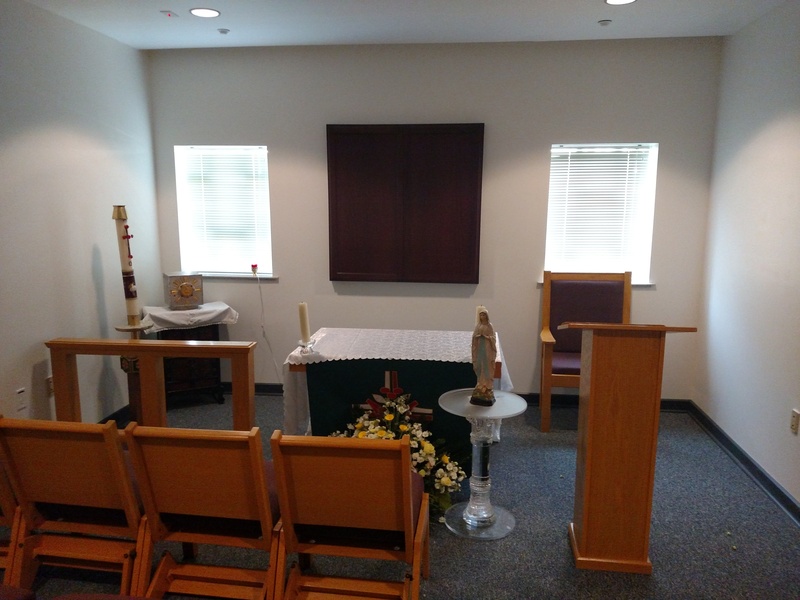 The Blessed Sacrament Chapel in the Indian Head Chapel. This bell is in front of Chapel #2. The plaque below it reads: “The 6th United States Cavalry Brigade; Black Horse Chapel Bell; Rededicated 20 June 1997; Freedom’s Chapel, Camp Humphreys, Korea; By Colonel James E. Simmons, Commander, 6th Cavalry Brigade; Chaplain (MAJ) John R. Houser; Chaplain, 6th Cavalry Brigade” (photo taken by Daryl Densford, 21 May 16). Another chapel nearly identical to Chapel #2, a mile or so down the road among more high-rise barracks. Perhaps Chapel #1? It is expected to be named “Pacific Victors Chapel” (photo by Daryl Densford, 21 May 2016). 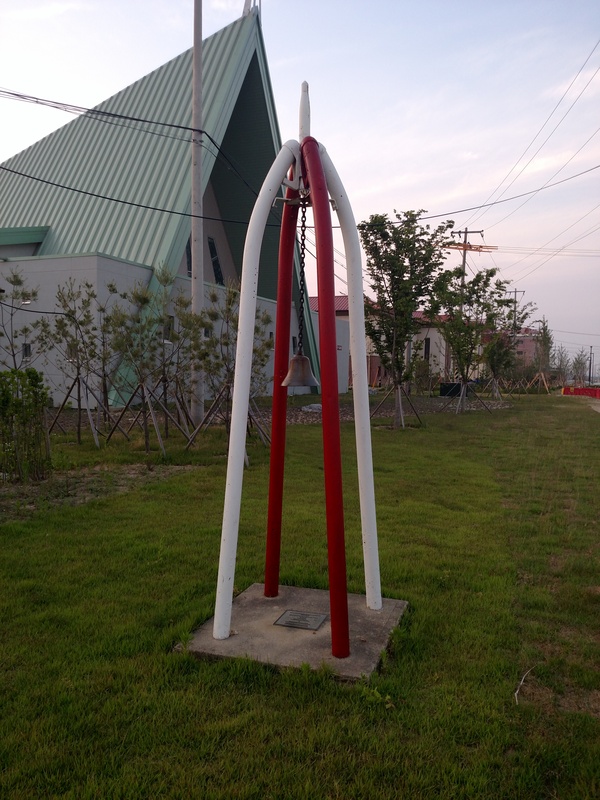 Chapel #1, Camp Humphreys, ROK (photo taken by Daryl Densford 21 May 2016). The other side of Chapel #1, Camp Humphreys, ROK (photo taken by Daryl Densford 21 May 2016). The rear of Chapel #1, Camp Humphreys, ROK. 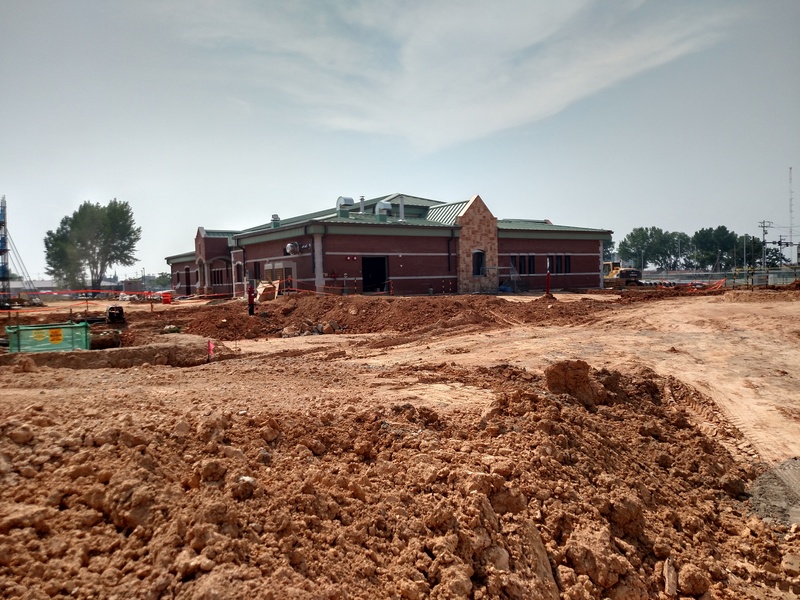 Notice the out-building is shaped to match the chapel building (photo taken by Daryl Densford 21 May 2016). 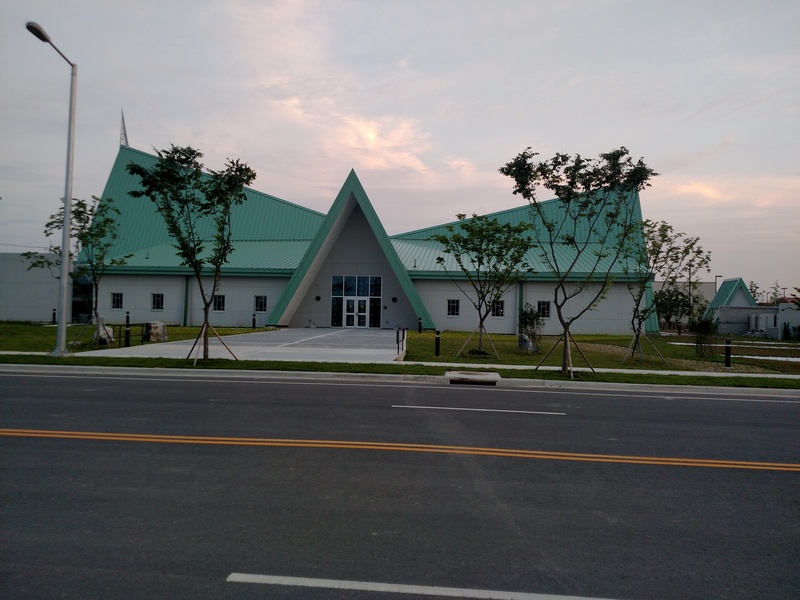 Another one of the new chapels being built on Camp Humphreys. 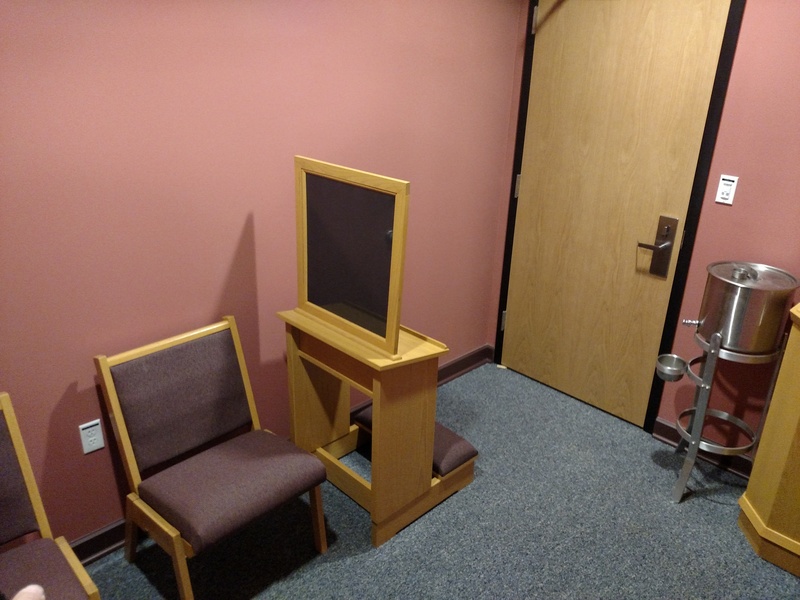 This one is located in the Main Post area and will be called Freedom Family Life Chapel (photo by Daryl Densford, November 2015). Progress on Freedom Family Life Chapel being built on Camp Humphreys in the Main Post area (photo by Daryl Densford, 19 Mar 16). Another view of the progress on Freedom Family Life Chapel being built on Camp Humphreys (photo by Daryl Densford, 19 Mar 16). An aerial view of Freedom Family Life Chapel under construction. 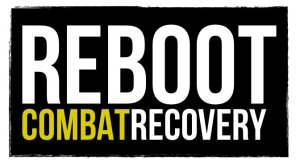 Camp Humphreys, ROK. I was amazed at the progress on Freedom Family Life Chapel at Camp Humphreys, ROK. It looked really nice after they unwrapped it! (photo taken by Daryl Densford on 22 May 2016). 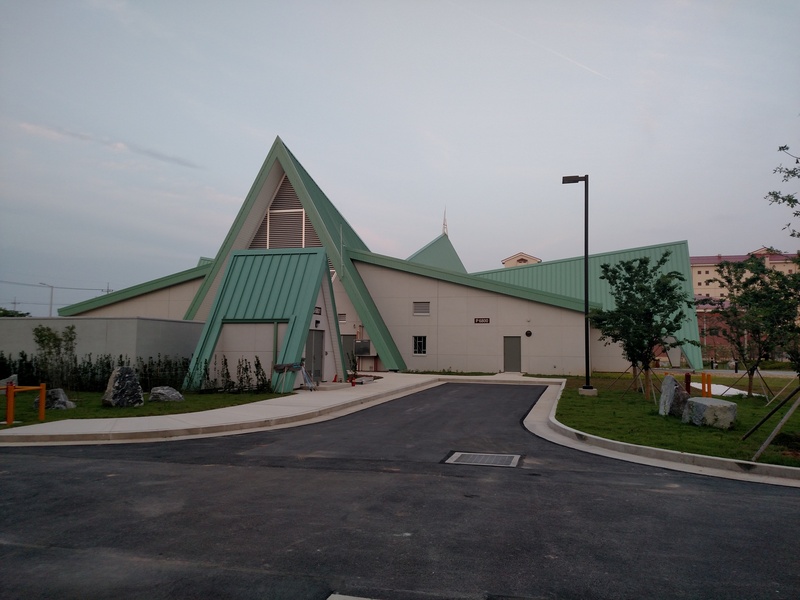 Another view of the Freedom Family Life Chapel at Camp Humphreys (taken by Daryl Densford on 22 May 2016). 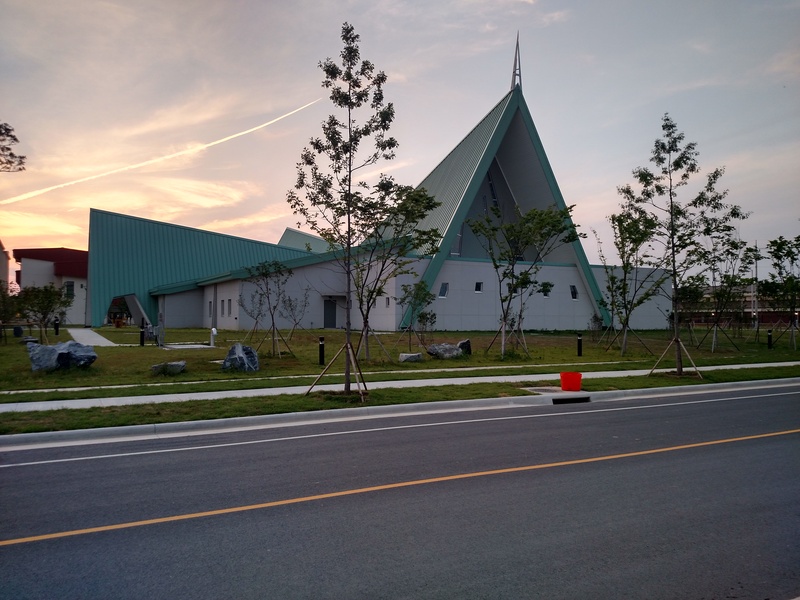 The other side of Freedom Family Life Chapel at Camp Humphreys, ROK (taken by Daryl Densford on 22 May 2016). 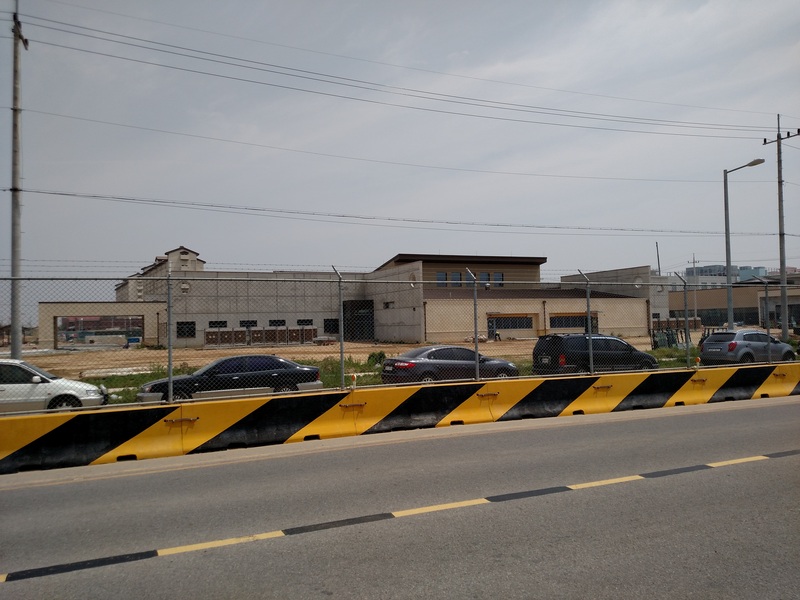 The Fellowship Hall behind the Freedom Family Life Chapel at Camp Humphreys, ROK (photo taken by Daryl Densford 22 May 2016). 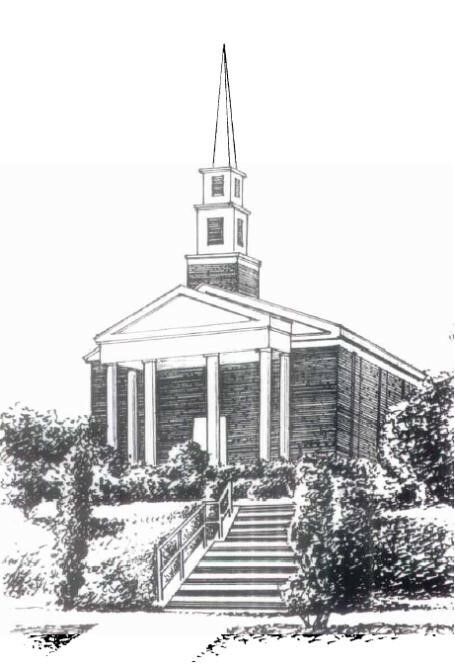 An artist’s conception of Freedom Family Life Chapel at Camp Humphreys, ROK. 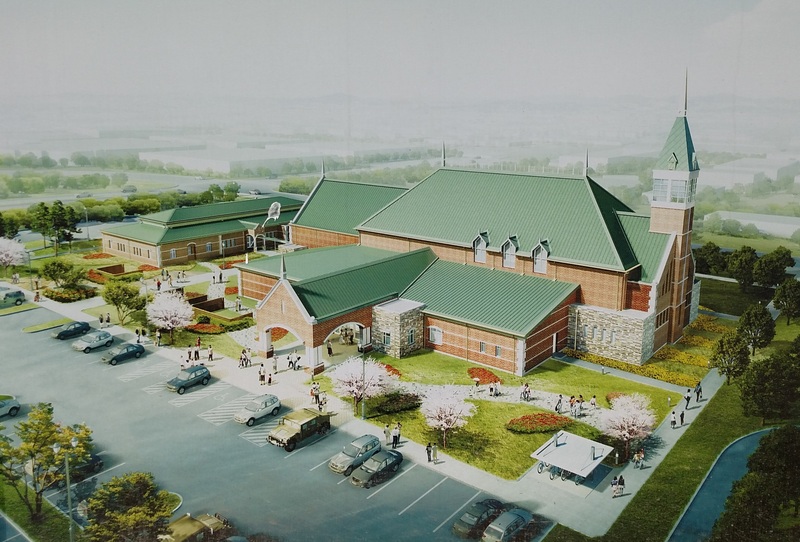 What will be the largest chapel on Camp Humphreys is located in the family housing area across the street from the elementary school. 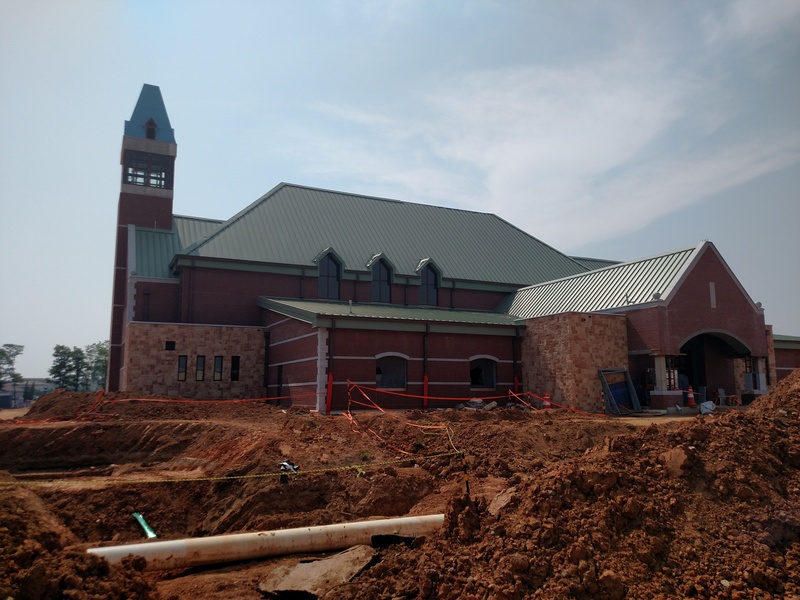 It is expected to be completed in August 2016 and will be called the Four Chaplains Memorial Chapel (photo taken by Daryl Densford on 23 May 2016). 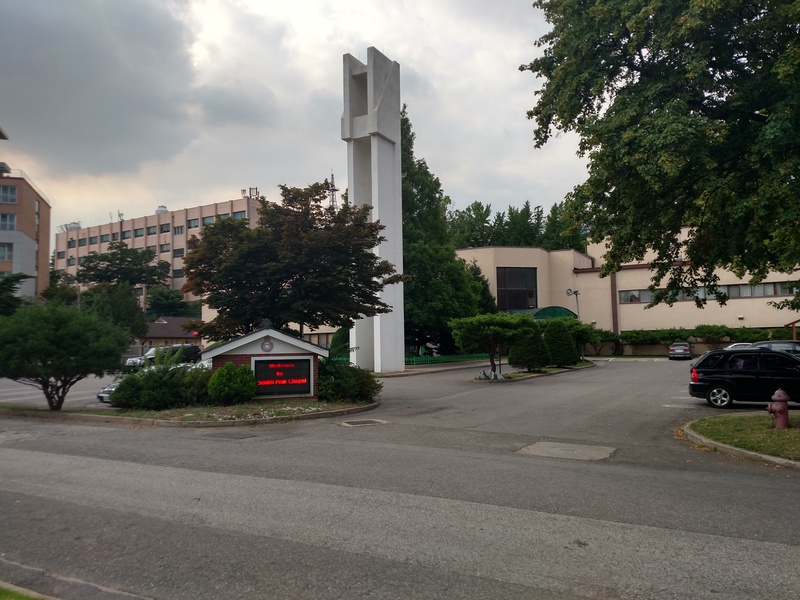 Memorial Chapel, USAG Yongsan, Republic of Korea (photo by author, July 2015). 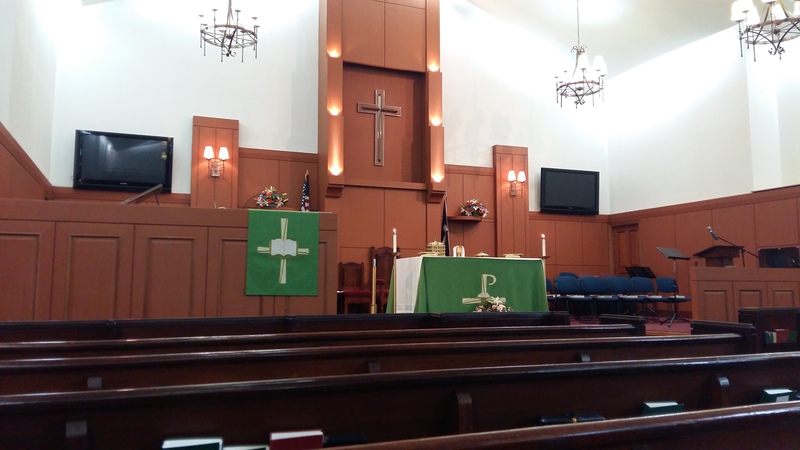 Interior of Memorial Chapel, USAG Yongsan, Republic of Korea (photo by author August 2015). 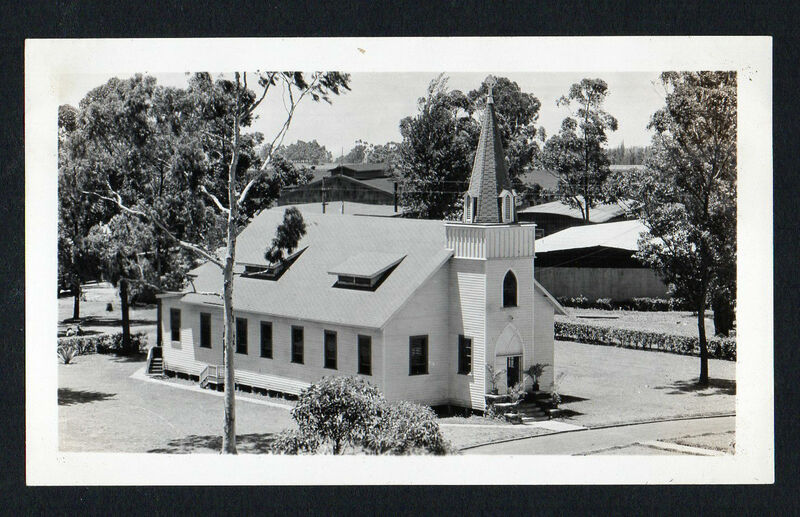 USAG Yongsan, South Post Chapel, 1953-1986. 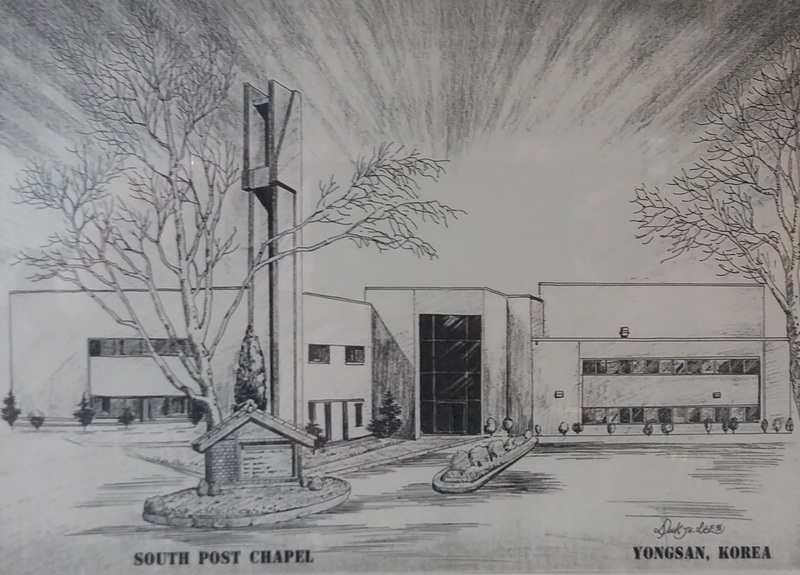 An artist’s rendering of South Post Chapel on USAG Yongsan, Republic of Korea, after 1986. 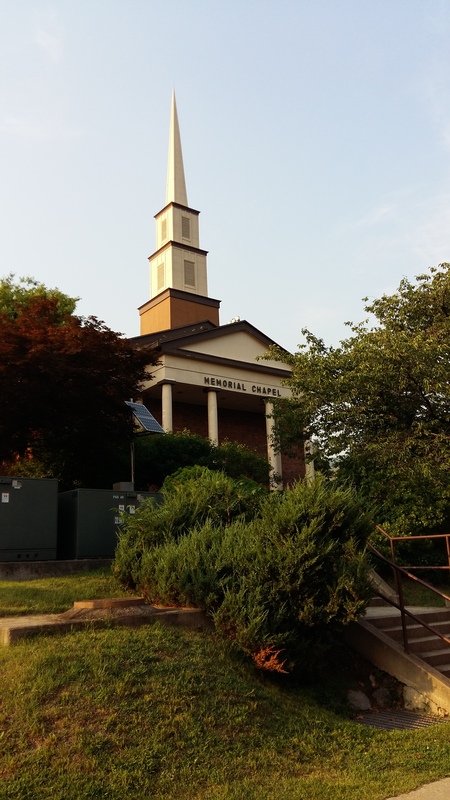 South Post Chapel, USAG Yongsan, Republic of Korea, (photo taken by author July 2015).